There is no keepsake more treasured than a great family photograph. But don’t feel as though you need to be a “professional” to get great pictures. The cameras and technology of today make it quite easy. Here are some simple tips to help you achieve your goals. Always have your camera ready for that once-in-a lifetime shot! [photo(s) of child who just cut her hair] Just set your camera to program mode – use your flash if you’re indoors – and you are ready to go! Keep an extra battery charged so you are never caught unprepared. Get in close and focus on the eyes, that way the face will always be in focus. Try different angles, get on the ground, or even add a little tilt to your camera. One of my favorite times to shoot candids is when another photographer is taking a formal shot. Everyone is focused on the other photographer and you can move around, trying different angles. Maybe take a picture from the side, a profile view, or take it from behind, catching the photographer in the picture, especially if it is animated Aunt Alice counting to three. This is a good time to talk about background, because people often forget to notice what is behind their subject when taking candids. Does anything behind them create a weird illusion? For example, a telephone pole that looks like it is sticking out of a head or someone’s behind, well behind! It may sound silly, but simple mistakes like these happen quite often but are easily avoided by double-checking your background before taking the picture and moving yourself to a different angle. First, try to pick a setting where the background is minimally decorated. It is best to choose a clutter-free area that is well lit. Next, depending on the size of the group, arrange everyone according to family, then by height. Of course, the tallest in the back and shorter front side. Just make sure everyone is seen by the camera’s position. Then you can set up your tripod or set your camera on a tall object such as a ladder. Set it to the self-timer mode, making sure you have enough time to get in the picture and click away. Take several images, so you’ll have a few to choose from. The relaxed family portrait is an ‘arranged’ candid opportunity. Arrange the family, closely around a table or a coach, but where the camera can see everyone. Then, get everyone talking a bit, so that they’re not so posed. Have someone tell a familiar family story and capture the nods and smiles as everyone chimes in. Another way to get this kind of shot is after taking a formal shot, continue to shoot after everyone thinks you’ve finished. It’s often the shots just after the posed one that are the best, as people relax and look at each other. Children pictures can be a bit more challenging but even more rewarding when you get that perfect shot! Use props! You can use small rocking chairs, benches or a favorite stuffed animal in the picture to add some interest. Tips for the wiggly ones – use a box or wagon to contain them. Give older children a treasure to hide in their hands to keep them still. Always have on hand some happy mood making tools for yourself: bubbles, balloons, etc. Get lots of expressions and don’t be scared of photographing a storm-out, crying fit or pout. Get close and fill your viewfinder with their faces by using your zoom feature or just getting in their face. Remember to focus on their eyes, but if you cannot catch them looking, it is okay. When taking close-ups, don’t forget those cute little hands and feet. One way to make us take notice of a photograph of a child is to take a picture from a different perspective than we are used to viewing them (from above, looking down). Get down to their level or even lie on the ground. Getting down low and using the sky above as a background is a great technique. Shoot some pictures from different angles and heights. Somewhere your subject is looking directly at the camera and some looking away. 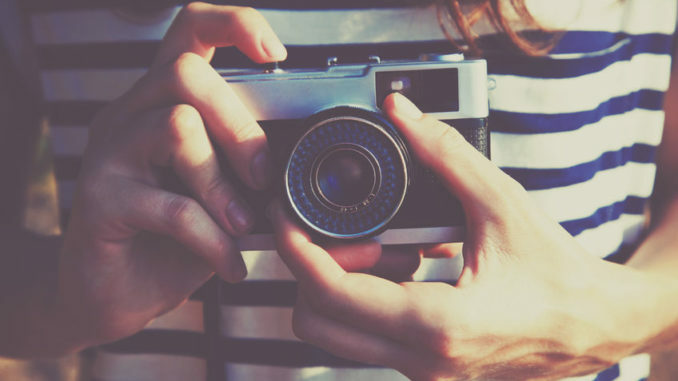 Take some pictures of objects to add interest to your scrapbooking pages. A close-up of an ornament or of a wrapped present, table decorations, a roaring fire, a “Welcome to Texas” sign, or dangling car key (for that 16th birthday), are dramatic, but easy to capture. The key here is variety. Think out of the box and have fun! You will really notice the results! Should I have a geriatrician for my doctor?